Are you ready for the challenge? This program is geared to bring out the competitor in you. 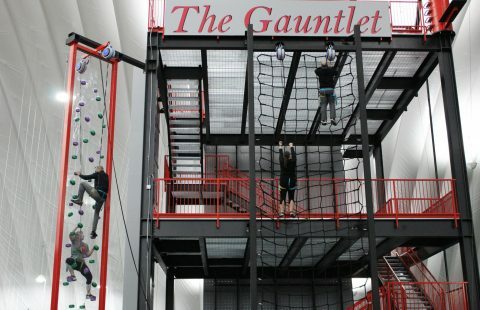 Harness up and after a few minutes of safety training, you’ll be scaling walls, ascending cargo nets, and getting in a workout that will test you mentally and physically. Our Action Challenge Experience allows you to take on the Bo Jackson’s Elite Sports Gauntlet. This mental toughness and team training environment is used for all types of development experiences. Registration: Pre-registration is required due to limited space (max: 16 participants per age group); day-of registration will be allowed if spots are open.